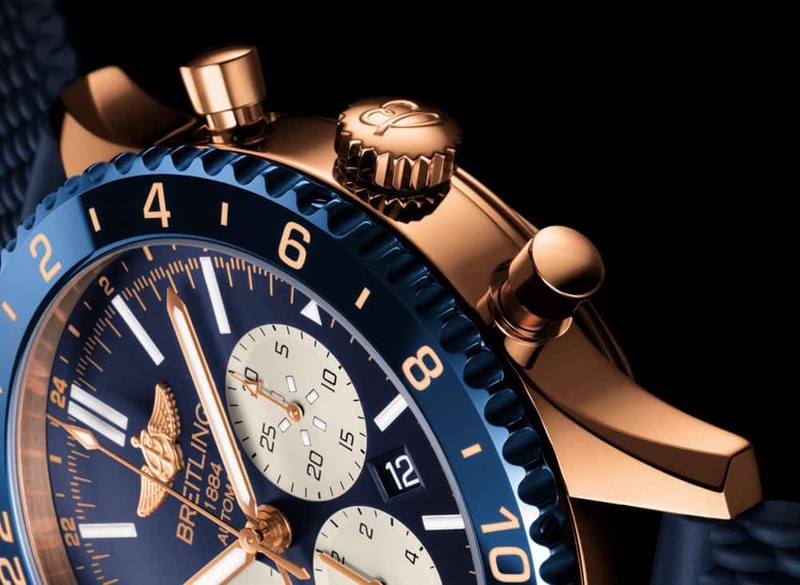 If you’re a fan of watches built around stainless steel cases, your really can’t go wrong with a Breitling Chronoliner B04. But what if you don’t have kitchen appliances and/or a DeLorean whose finish you want to match, and would prefer something farther toward the red gold end of the spectrum? 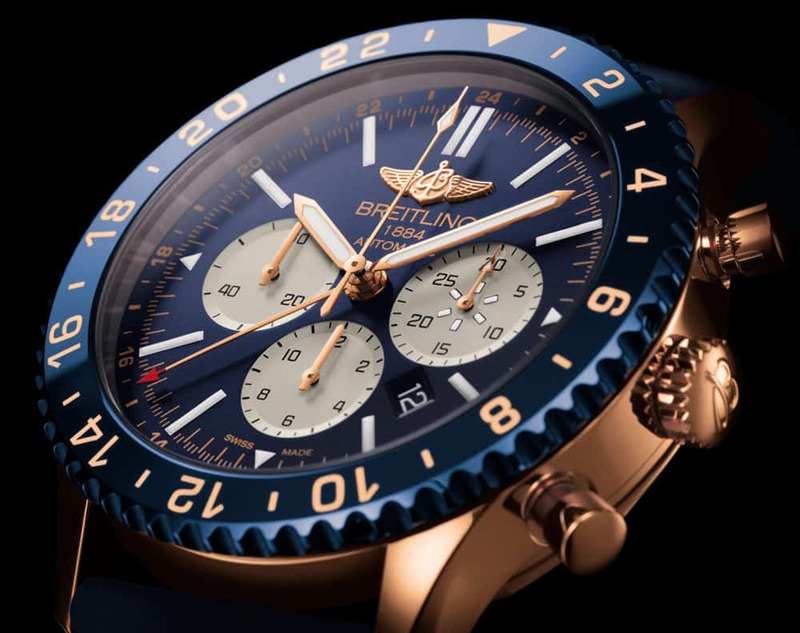 Well now Breitling has you covered as well, with the Chronoliner B04 Red Gold. 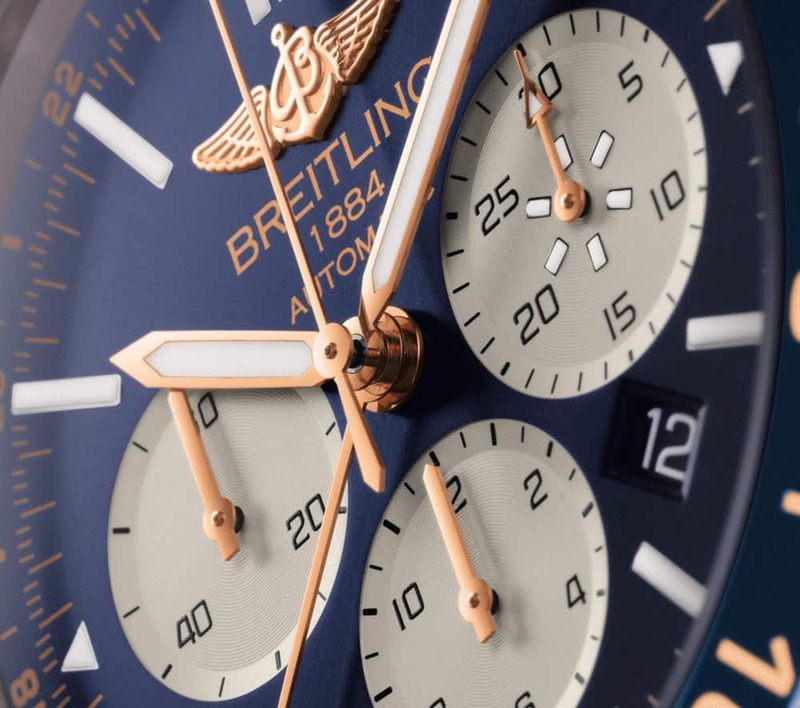 Other than the aforementioned red gold finish on the 46mm case and a delectable dark blue face and bezel, this new version of the Chronoliner B04 is much the same as the stainless model. 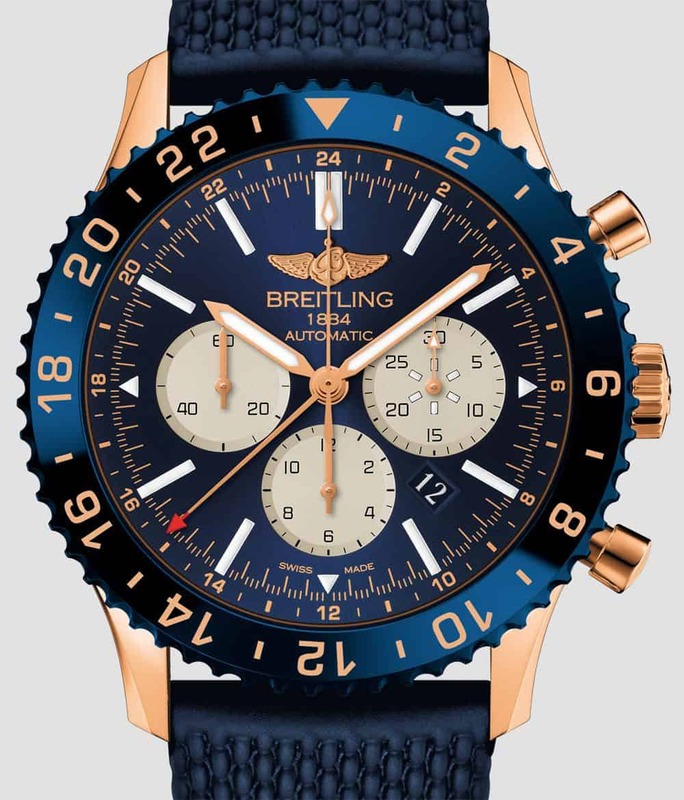 That means it’s driven by an in-house caliber B04 with 70 hours of power reserve, has the same three subdials and date window in the same arrangement, and the same 100 meter water resistance. 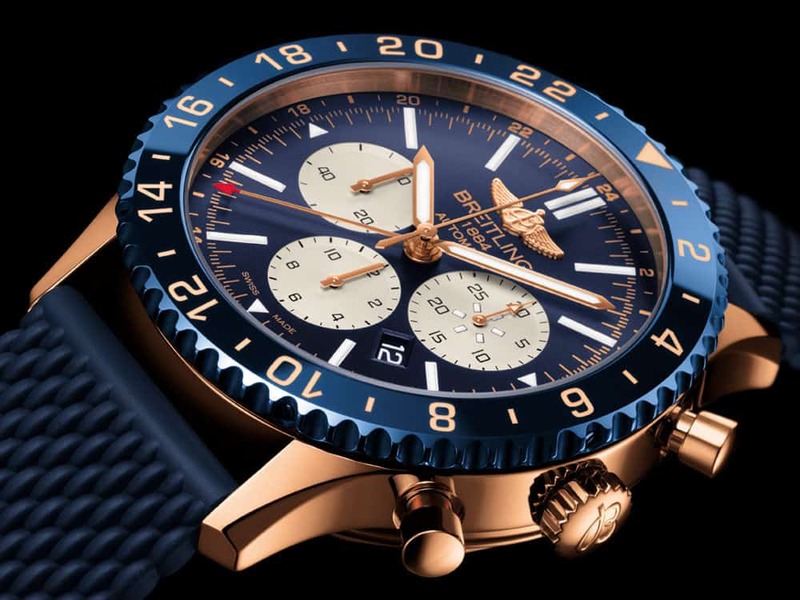 Breitling will build just 250 of these individually-numbered beauties, with an asking price of $32,545 a pop.